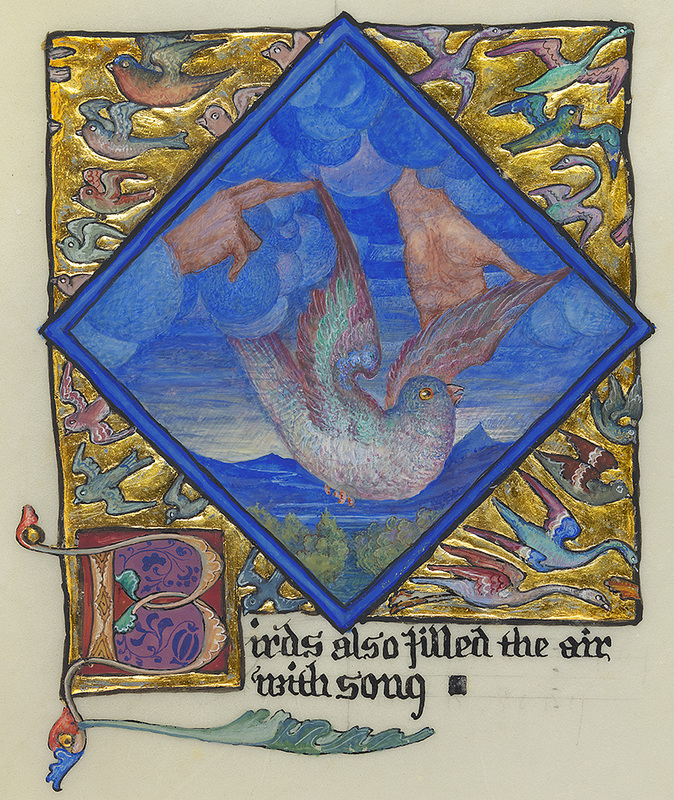 As there were several separate requests recently for images from the splendid ‘Song School St Mary’ manuscript by Phoebe Anna Traquair, we decided the time was right to digitise the book from cover to cover, replacing some fairly mixed quality old digital images and preparing it for the LUNA Book Reader http://images.is.ed.ac.uk/luna/servlet/s/109unz . This item is one of my favourites (yes, I know I have many…), and it is a beautifully illuminated, vibrantly coloured, jewel-like treasure. 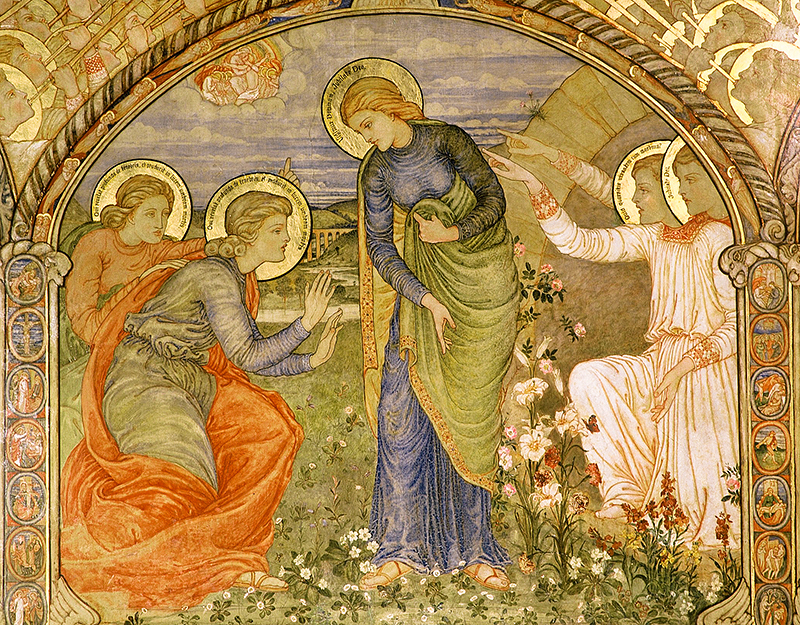 Although made in 1897, Traquair created this on vellum, which adds to the impression of exquisite quality. 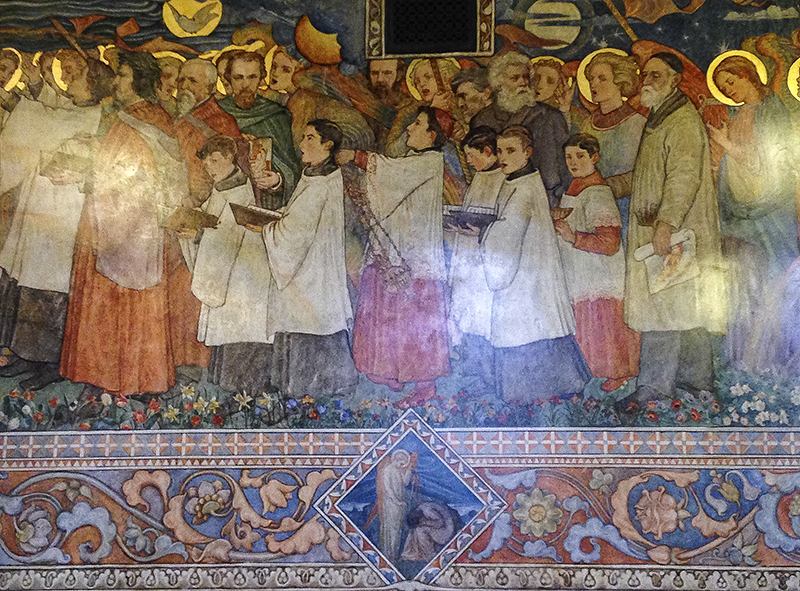 The manuscript is so lovely that I couldn’t resist doing a little research and discovered that the Song School is part of the St Mary’s Cathedral on Palmerston Place in Edinburgh and that Traquair painted the wall murals based on the Benedicite Omnia Opera canticle between 1888 and 1892- five years before our manuscript. Judith Lewis from the Cathedral Office very kindly offered to show the DIU team around the Song School and this seemed like far too good an opportunity to pass up, so my colleagues Malcolm Brown, John Bryden and I visited the West End Cathedral recently. The murals are simply stunning and we were delighted to recognise so many of the illuminations from our manuscript inset into panels below the larger paintings. 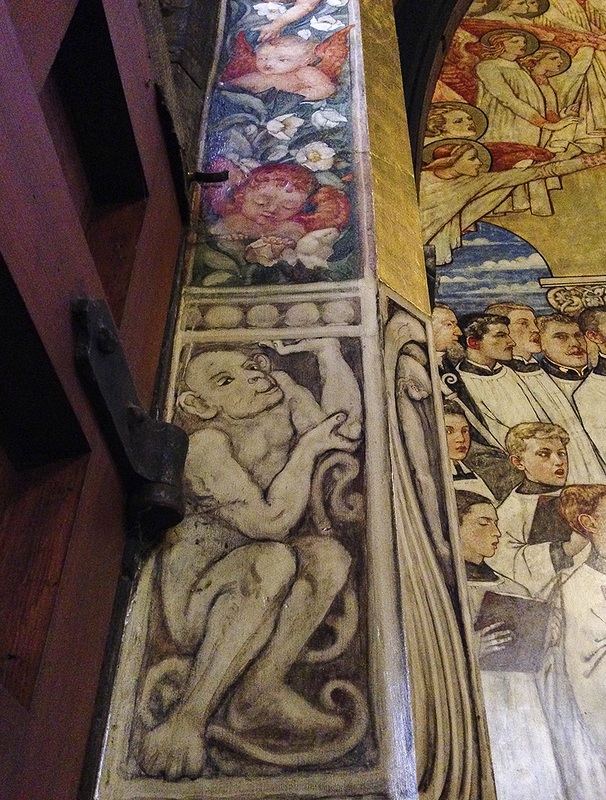 Traquair used the faces of her friends and those of people she admired to populate the murals so it was fun to spot the famous from the late 19th Century – Dante Gabriel Rossetti, Lord Tennyson, William Blake and Thomas Carlyle all make an appearance. The South Wall mural showing portraits of Tennyson, Browning, Rossetti, Holman Hunt and Carlyle. 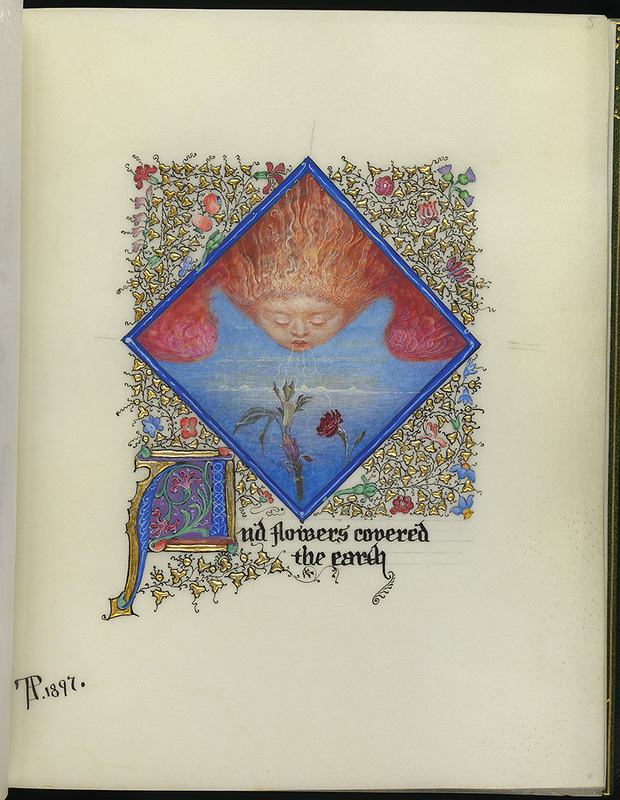 The diamond shaped inset below shows one of the illuminations from our manuscript. The East Wall mural showing the Leaderfoot Viaduct in the background. Image © Peter Backhouse, reproduced with kind permission of St Mary’s Cathedral. There is also a wealth of beautiful details, from Scottish flowers and landscapes to funny little men ‘holding up’ the murals above them. 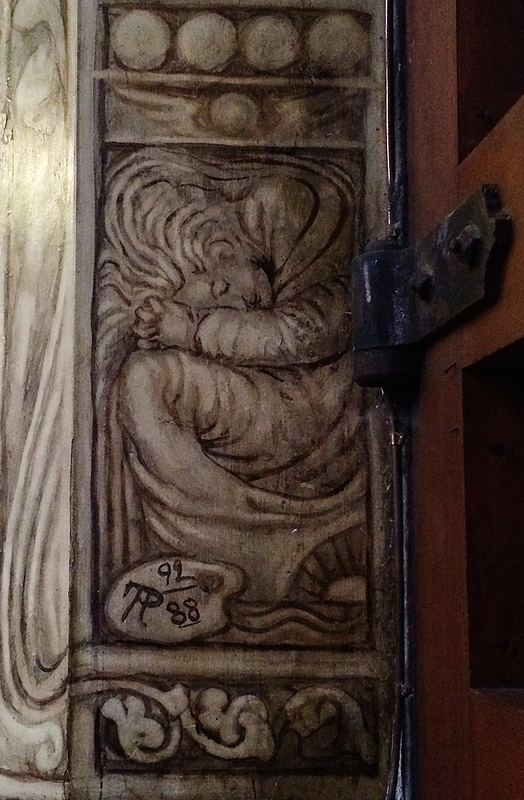 It is no wonder that at the end of 4 years of painting, Phoebe Anna Traquair choose to do her own self-portrait looking rather weary curled up on a door frame! See http://www.cathedral.net/about/a-tour-of-the-cathedral/around-the-cathedral/ for more information. 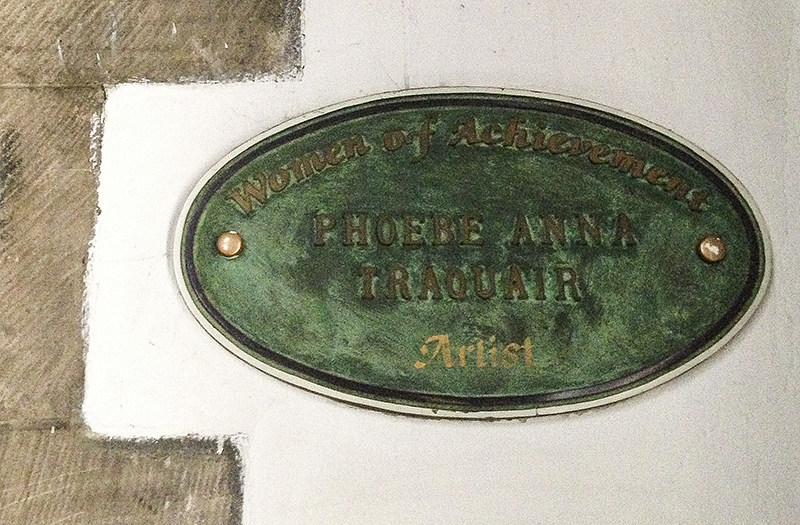 Traquair’s Song School murals brought her National recognition while her work in the former Catholic Apostolic Church at the foot of Broughton Street has been acclaimed as “Edinburgh’s Sistine Chapel” (see http://en.wikipedia.org/wiki/Phoebe_Anna_Traquair or, for a 360o viewer http://www.mansfieldtraquair.co.uk/files/file/tour/index.html). We hope you enjoy looking at the book reader copy of the manuscript as much as we enjoyed making it! Great images of the ‘Song School St. Mary’, did you have any issues (with lighting etc) photographing the gold? Yes- gold is very difficult to capture! If you aim to capture the ‘sparkle’ you risk large areas of burn out, so we opt to use softer lighting and slightly under-expose the image. This is then corrected in the processing stage. It makes for quite slow work, but with our items from our Iconic Collection we think it is worthwhile.